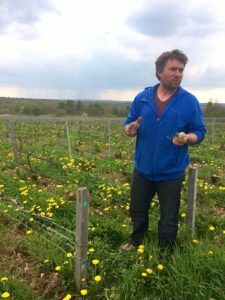 Almost a year ago, around the time I tasted Ruppert-Leroy’s first sans soufre experiment called Fosse-Grely Autrement, I vowed not to do a full-on write up of the domaine, on the grounds that Bert Celce had pretty much said it all. This post isn’t so much about Ruppert-Leroy, as it is about selling Ruppert-Leroy in New York. Perhaps because we are so heavily inundated with election coverage and verbiage these days, my mission to put these wines in restaurants and shops has begun to feel like a campaign. I’ve campaigned more diligently for this producer than I’ve ever campaigned in my wholesale career, because I love the wines, because what they represent in the context of Champagne is fascinating, and because when I needed some righteous juice to bring me back to caring about Wine (rather than just working in Wine), Ruppert-Leroy was there for me. By this I mean only that any career, no matter how much one enjoys it, begins at some point to feel like just-a-job, and the perfect antidote is to take up the cause of something one believes in. Ecstatic me with Emmanuel Ruppert after our April visit. I began selling Champagne not as a rep, but as the manager of a retail store: Chambers Street Wines. Whether or not I was good at it, I certainly wasn’t very practical. I bought the wines that moved me, wrote about them for the newsletter, put them in people’s hands on the sales floor, and called it a day. From time to time, particularly looking down the barrel of the 4th Quarter, I put some effort into finding Champagnes that were farmed well and relatively inexpensive ($60 and under on the shelf), and came up with Laherte Ultradition, Tarlant Brut Zero, and sometimes more avant garde bottlings like Bulles de Comptoir from Charles Duffour. For the most part it was pretty easy; my enthusiasm was enough to sell some wine. Wholesale is completely different. First you must convince the customer to taste Champagne with you when they may not be looking for it (and in my experience most wholesale customers are not looking for Champagne on a regular basis). Then you must convince the customer to spend their money on something relatively expensive and unknown on the grounds of an exceptional and unique flavor profile that is the polar opposite of what most people think of when they think of Champagne (more on this later). Finally you have to get them so excited about the wine that they don’t balk at the prospect of hand selling every bottle, because wines like this are a hand sell 95 out of 100 times. It’s not so easy. It’s almost humorous how many Ruppert-Leroy samples I’ve ordered over the past two months. It’s certainly humorous — though not necessarily good — that restaurants looking for value reds for their by-the-glass programs are instead getting Ruppert-Leroy when I darken their doors for my appointments. I’ve taken these wines out on so many occasions of late that I can recite our sevenfifty entries virtually verbatim. How does this happen? Well for one thing, each time I take the wines out I miss somebody, another preferred customer or two, or three, who I feel can’t live another day, week, month, without experiencing the magic of Ruppert-Leroy. And so I plan another day, and order another set of samples. It’s a bit unusual to do this with Champagne because the samples are costly (so hopefully my bosses won’t be pissed if/when they read this post), but also because it’s rare to sell a lot of Champagne when you show it because Champagne is expensive, and it’s harder to sell expensive wine than to sell cheap wine unless the expensive wine is made by some fancy, extra-big-deal, allocated estate, in which case you’re not taking it out anyway because it’s all sold without “wasting” a sample. Whew. Make sense? Showing Champagne can be somewhat of a lost cause. 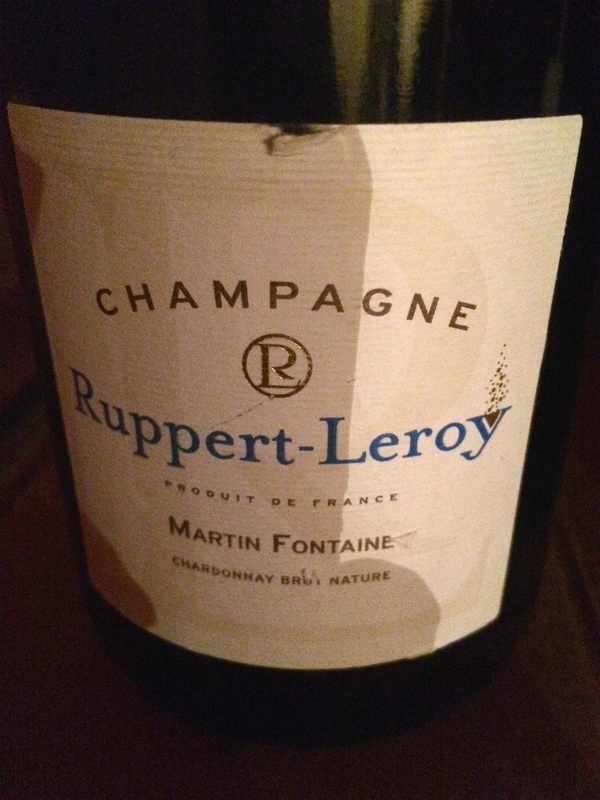 After a day in the roll-y bag, the wine is warm and the bubbles gone, but fortunately if it’s vineyard-forward Champagne such as Ruppert-Leroy, even the still, warm juice tastes amazing. My most useful observation about selling these wines in New York has been that they seem to fit better at restaurants than at most shops. I have a few theories about this. The first is that they are food wines: savory, sapid, unapologetically dry, prone to opening up gorgeously over a couple of hours (this doesn’t mean decant them; please don’t decant them), and so intense that to drink them as a casual aperitif would seem to do the wine and the drinker a disservice. But additionally, in the restaurant context, a conversation almost always takes place between the server or the sommelier, and the guest, which means that the opportunity to explain these wines — even if just a sentence or two — is built into the experience. In a shop, some of the bottles need to sell themselves, without conversation, solely on the grounds of label or reputation, which is why Veuve Cliquot and Moët et Chadon, Billecart Salmon and Laurent Perrier maintain their shelf spaces even when every employee of the shop understands that these are not particularly good wines. We can’t just sell great wine all the time, in any branch of the trade. Sometimes we have to be practical, and I don’t fault my retailers for allowing pragmatism to guide them. That said, my appreciation for those retailers who take a chance on Ruppert-Leroy knows no bounds. Who is Ruppert-Leroy? 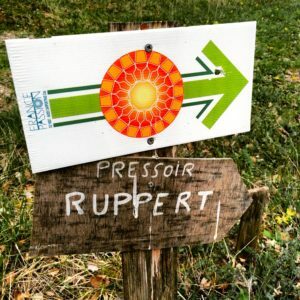 Ruppert-Leroy is a small, organic estate located outside the village of Essoyes in the Aube, a region several hours by car south of Epernay. 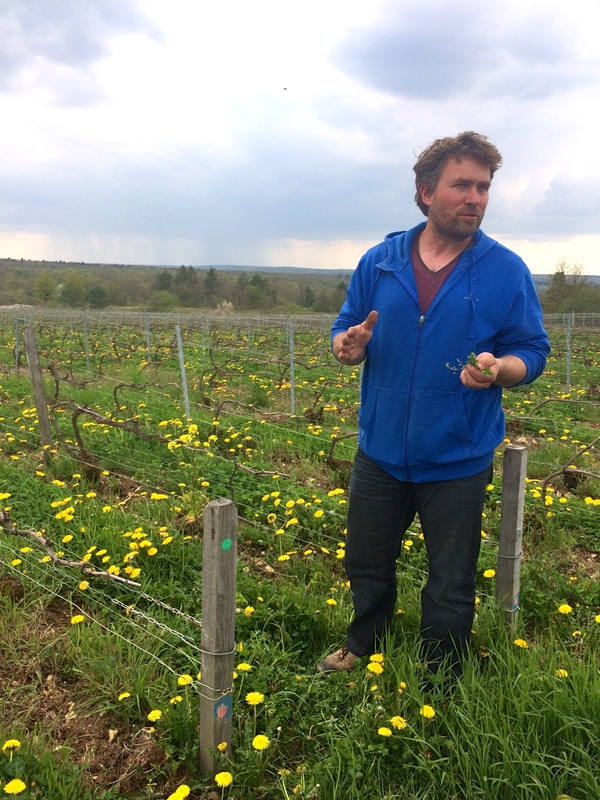 The Aube is known for its kimmeridgean limestone soils, and has over the past decade risen to hipster popularity thanks to the efforts of producers like Cédric Bouchard, Vouette et Sorbée, and Marie-Courtin, to name just a few. Ruppert-Leroy is the combined effort of Bénédicte Ruppert, and Emmanuel Leroy. 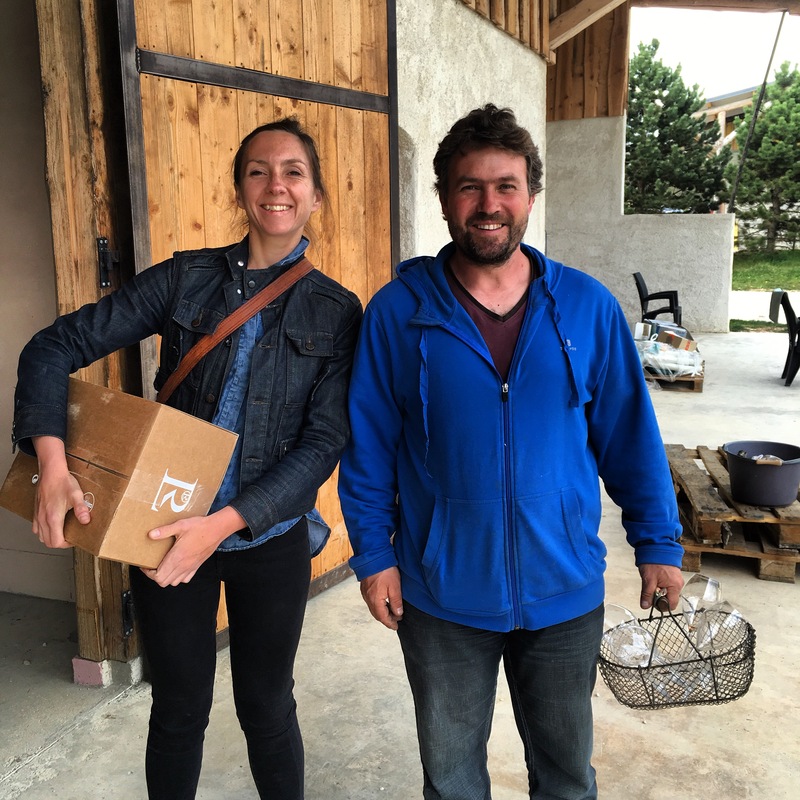 Bénédicte Ruppert’s father Gérard started the domaine in the 1970s, and in the mid-2000s, Bénédicte and her husband Emmanuel Ruppert decided to leave their previous careers as gym teachers to take up the reigns at the estate. Though the vines (planted in the ’70s) had long been tended organically, there was no certification until Bénédicte and Emmanuel took over, harvesting for the first time in 2010. 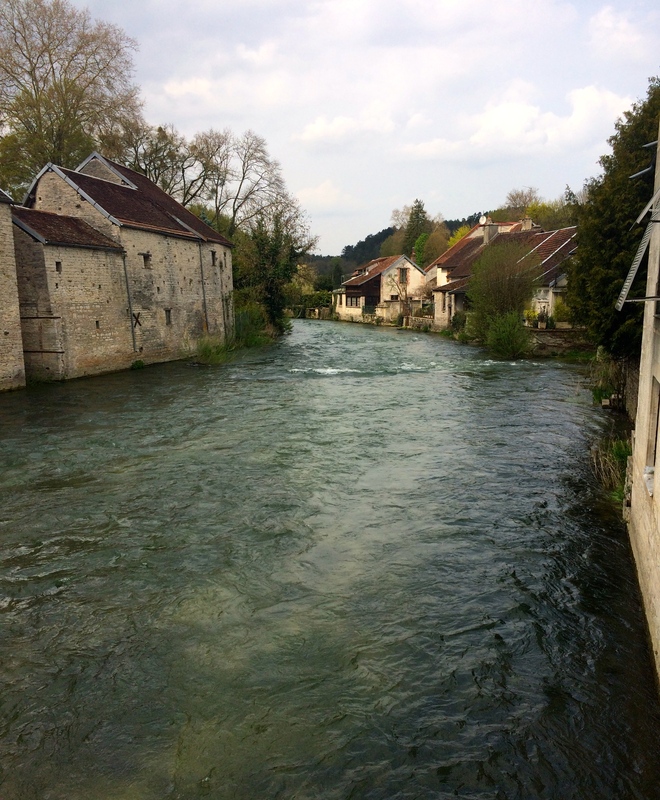 View from the bridge in downtown Essoyes. Emmanuel and Bénédicte farm three vineyards, all more or less cordoned off by woods (this would never happen in the north of Champagne) called Fosse-Grely, Martin-Fontaine, and Les Cognaux. Lush with plant life and dandelions, which they incorporate into tisanes for treating mildew, each vineyard boasts a different varietal makeup and soil type. 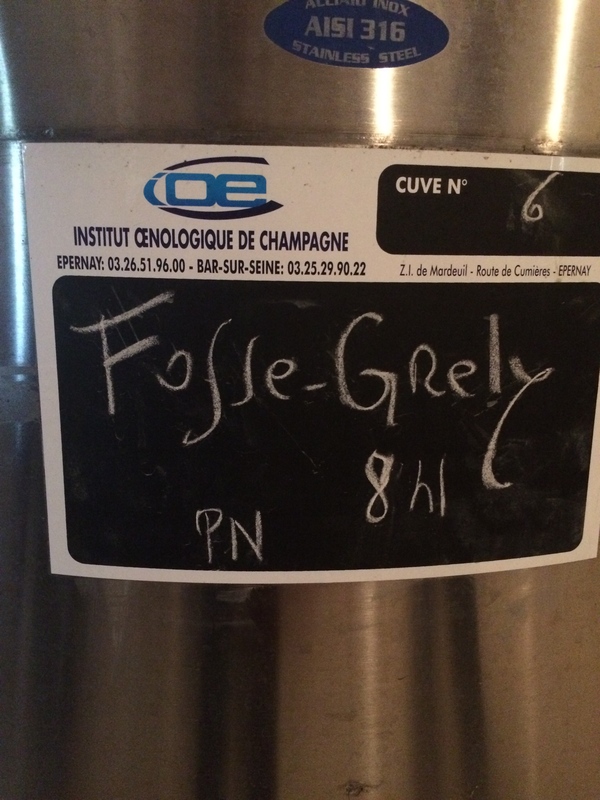 Fosse-Grely is limestone with red clay, co-planted to Pinot Noir and Chardonnay. Martin-Fontaine is white limestone planted to Chardonnay, and Les Cognaux is gray clay and tiny sea shells over limestone, planted to Pinot Noir. The domaine is about four hectares in total. In 2013, Emmanuel and Bénédicte stopped using sulfur completely, and regardless of one’s feelings about Champagne without sulfur (mine are mixed), results in the case of Ruppert-Leroy have been excellent. The manifestations of sans soufre Champagne-making are (in my opinion) as follows: base wines virtually always undergo malolactic fermentation because preventing it and keeping it at bay requires a minimum of 60-70 milligrams of SO2. The finished wine is darker in the glass due to a faint oxidation that isn’t particularly apparent on the palate. There are incredibly expressive flavors on the nose, mid-palate, and finish, flavors that are clipped by sulfur in most Champagne. In the case of Fosse-Grely, it’s a succulent grape-iness; in the case of Martin-Fontaine, it’s broad Chablis-like apple, pêche des vignes, and sweet lime; in the case of Les Cognaux, it’s ripe raspberries and tart cherries, seeds, pits and all. And so what I mean when I say these wines have atypical flavors is that they are not toasty; they are not yeasty; they are not searingly acidic from blocked malo; they are not chalky; they are not sweet from dosage. The wines taste like limestone, earth, and fruit, and no matter how much I hate the expression “like Chablis with bubbles”, I find myself using it to describe these wines. Having spent many paragraphs now on the domaine itself, which I vowed not to do, I’ll return to my statement that what Ruppert-Leroy represents in the context of Champagne is fascinating. We began calling Emmanuel Ruppert the “DIY King” of Essoyes because he built his house and winery out of hand-harvested logs. When we went to visit in April, Bénédicte was toiling in their large and impressive garden. There were sheep everywhere, and horses (one even joined us in the barrel room for our vin clair tasting). This is an sustainable farm. There are no fancy shoes; there’s no giant sign visible from the road advertising the domaine; there are no master blenders; there are no branding and marketing strategists, no export manager. These are the kind of people I’m used to meeting in the Loire Valley, or in the Jura, but rarely encounter in Champagne. They are farmers, and pretty much everything they’ve created from their humble abode to the wines themselves is a hand made extension of themselves and their philosophy. Now this is something worth campaigning for.